Fancy something original, trendy, and elegant for your table? 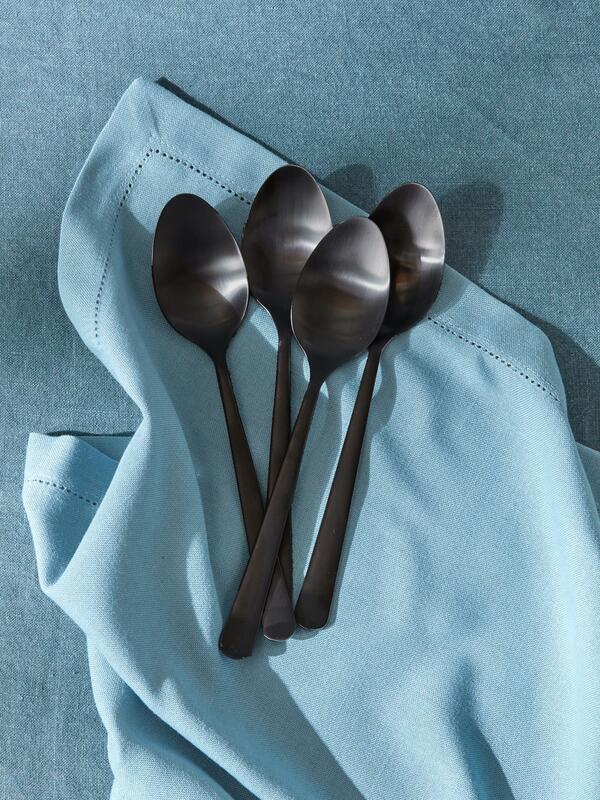 Offer your meals a particular flavour with these matte utensiles in black or gilt. Pack of 4 soup spoons of high quality. Length, 21cm. Dishwasher safe. Made in Portugal. Plates and cups with golden dots, ceramic bowls, egg holders, mugs or desser plates. The plates according to Cyrillus bring pleasure everyday with a pretty and friendly table!